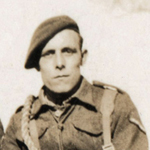 Lance Corporal John Stewart, 5 troop, was fatally wounded  during operations at Dragone Hill, Salerno, and died on way to the R.A.P. He was then buried by 41 RM Commando . 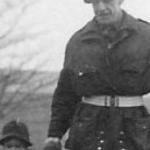 Sgt Doug Webster and his wee laddie Doug jnr.